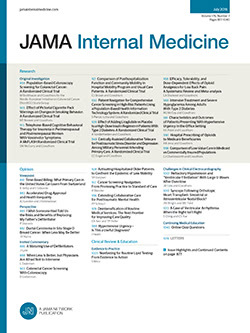 Effects of angiotensin-converting enzyme (ACE) inhibitors and calcium antagonists (CAs) vs placebo and more intensive vs less intensive blood pressure (BP)–lowering regimens (A) and of BP-lowering regimens based on different drug classes (B) on the risks of stroke, coronary heart disease, and heart failure. The P value by χ2 test of homogeneity (P homog) gives an indication of the constancy of effect in patients with and without diabetes mellitus. A P homog < .05 is taken to indicate that there is a difference in the effectiveness of the treatment regimen between patients with and without diabetes that is fairly unlikely to have occurred by chance alone. CI indicates confidence interval; D/BB, diuretic or β-blocker; RR, relative risk. Asterisk indicates that the overall mean BP difference (systolic/diastolic) during follow-up in the actively treated/first-listed group compared with the control/second-listed group, calculated by weighting the difference observed in each contributing trial by the number of individuals in the trial. Negative values indicate lower mean follow-up BP levels in first-listed treatment groups than in second-listed groups. Effects of angiotensin receptor blocker (ARB)–based regimens vs control regimens on the risks of major cardiovascular outcomes and death in individuals with and without diabetes mellitus. The P value by χ2 test of homogeneity (P homog) gives an indication of the constancy of effect in patients with and without diabetes. A P homog < .05 is taken to indicate that there is a difference in the effectiveness of the treatment regimen between patients with and without diabetes that is fairly unlikely to have occurred by chance alone. CI indicates confidence interval; RR, relative risk. Asterisk indicates that the overall mean blood pressure difference (systolic/diastolic) during follow-up in the ARB group vs the control group, calculated by weighting the difference observed in each contributing trial by the number of individuals in the trial. Negative values indicate lower mean follow-up blood pressure levels in the ARB group than in controls. Effects of angiotensin-converting enzyme (ACE) inhibitors and calcium antagonists (CAs) vs placebo and more intensive vs less intensive bulood pressure (BP)–lowering regimens (A) and of BP-lowering regimens based on different drug classes (B) on the risks of major cardiovascular events, cardiovascular deaths, and total mortality. The P value by χ2 test of homogeneity (P homog) gives an indication of the constancy of effect in patients with and without diabetes mellitus. A P homog < .05 is taken to indicate that there is a difference in the effectiveness of the treatment regimen between patients with and without diabetes that is fairly unlikely to have occurred by chance alone. CI indicates confidence interval; D/BB, diuretic or β-blocker; RR, relative risk. Asterisk indicates that the overall mean BP difference (systolic/diastolic) during follow-up in the actively treated/first-listed group vs the control/second-listed group, calculated by weighting the difference observed in each contributing trial by the number of individuals in the trial. Negative values indicate lower mean follow-up BP levels in first-listed treatment groups than in second-listed groups. Background Blood pressure (BP) level is a major determinant of cardiovascular morbidity and mortality in individuals with diabetes mellitus. Several guidelines recommend lower BP goals and specific drug classes for these patients. The overviews reported herein were performed to formally compare the effects on cardiovascular events and death of different BP-lowering regimens in individuals with and without diabetes. Methods Twenty-seven randomized trials (N = 158 709 participants) that included 33 395 individuals with diabetes and 125 314 without diabetes contributed to these analyses. For each outcome and each comparison summary, estimates of effect and 95% confidence intervals were calculated for patients with and without diabetes using a random-effects model. The constancy of the effects of each treatment regimen in participants with and without diabetes was examined using χ2 tests of homogeneity. Results Total major cardiovascular events were reduced to a comparable extent in individuals with and without diabetes by regimens based on angiotensin-converting enzyme inhibitors, calcium antagonists, angiotensin receptor blockers, and diuretics/β-blockers (P > .19 for all by χ2 test of homogeneity). There was limited evidence that lower BP goals produced larger reductions in total major cardiovascular events in individuals with vs without diabetes (P = .03 by χ2 test of homogeneity). Conclusions These overviews showed that the short- to-medium-term effects on major cardiovascular events of the BP-lowering regimens studied were broadly comparable for patients with and without diabetes. Different effects of regimens on intermediate renal outcomes not evaluated in these overviews may still provide a rationale for using specific drug classes in patients with diabetes. Diabetes mellitus is a major health problem that affects more than 135 million people worldwide.1 There is clear evidence that blood pressure (BP)–lowering agents protect against cardiovascular complications in this patient group,2-5 and guidelines now recommend intensive BP-lowering treatment for many individuals with diabetes.6-9 Widely publicized studies4,10,11 of drug regimens that antagonize the renin-angiotensin system have reported particular benefits of these drug classes on renal outcomes in patients with diabetes. However, patients with diabetes are more likely to experience macrovascular complications than serious renal impairment,12,13 and it has been unclear whether there are corresponding differences in the effects of regimens on macrovascular disease. The Blood Pressure Lowering Treatment Trialists’ Collaboration was established in 1995 with the goal of performing a series of prospective overviews of randomized trials that investigated the effects of different BP-lowering regimens on serious cardiovascular disease events.14 The Collaboration, composed of the principal investigators of large-scale randomized trials of BP-lowering regimens, defined the criteria for these overviews in advance, including trial eligibility, primary and secondary outcomes, treatment comparisons, and subgroup analyses. The objectives of the diabetes subgroup analyses reported herein are to quantify the benefits associated with different treatment regimens in patients with and without diabetes and to determine whether there are important differences in the effects of different BP-lowering regimens between these 2 patient groups. Trials are eligible for inclusion in the Collaboration’s overviews if they meet 1 of the following criteria: (1) randomization of patients between a BP-lowering agent and a control (placebo or a less intensive BP-lowering regimen) or (2) randomization of patients between regimens based on different classes of BP-lowering drug. Trials are also required to have a minimum of 1000 patient-years of planned follow-up in each randomized group and must not have presented or published their main results before finalization of the overview protocol in July 1995. Trials with factorial assignment of patients to other interventions, such as aspirin therapy and cholesterol lowering, are eligible, but trials in which any such additional randomized interventions are assigned jointly with the BP-lowering treatment are not eligible because the effects of the BP-lowering treatments would be confounded by the effects of the other treatments. Potentially eligible trials, investigator and industry initiated, are identified on an ongoing basis using a variety of methods, including computer-aided literature searches, scrutiny of the reference lists of trial reports and review articles, scrutiny of abstracts and meeting proceedings, and inquiry among colleagues, collaborators, and industry. For the analyses reported herein, all eligible trials for which data had been received and checked by the end of 2003 and that contributed to the second main cycle of analyses were included. In the broad group of trials comparing an active agent and a control, separate overviews were conducted for (1) angiotensin-converting enzyme (ACE) inhibitor–based regimens vs placebo, (2) calcium antagonist–based regimens vs placebo, and (3) more intensive vs less intensive BP-lowering regimens. In the broad group of trials comparing different active agents, separate overviews were conducted for (1) ACE inhibitor–based regimens vs conventional therapy (diuretic- or β-blocker–based regimens), (2) calcium antagonist–based regimens vs conventional therapy, and (3) ACE inhibitor–based regimens vs calcium antagonist–based regimens. Comparisons of an angiotensin receptor blocker (ARB)–based regimen with other regimens were treated as separate series of overviews. Four ARB trials were available for these analyses. One trial15 was a placebo-controlled study in which active treatment was initiated in the placebo group early in the study (starting with diuretic-based regimens but with the addition of agents other than ACE inhibitors and ARBs as required). Two trials10,11 used a placebo while simultaneously attempting to achieve BP reductions in both randomized groups (using BP-lowering agents other than ACE inhibitors and the specific trial intervention treatments). One trial16 was designed as a head-to-head comparison of active agents. Because all these trials included control treatment with agents other than ARBs, we analyzed them as 1 group. The 6 primary outcomes were defined according to the International Classification of Disease, Ninth Revision (ICD-9), and were prespecified in the Blood Pressure Lowering Treatment Trialists’ Collaboration protocol: (1) nonfatal stroke or death from cerebrovascular disease (ICD-9 codes 430-438); (2) nonfatal myocardial infarction or deaths from coronary heart disease (CHD), including sudden deaths (ICD-9 codes 410-414); (3) heart failure causing death or requiring hospitalization (ICD-9 code 428); (4) total major cardiovascular events (stroke, CHD events, heart failure, and other cardiovascular death); (5) total cardiovascular deaths (ICD codes 396-459); and (6) total mortality. Patients were categorized as having diabetes or not according to the definition used at randomization in each contributing trial. Individual patient data and summary tabular data were sought directly from each trial investigator. The data requested included participant characteristics recorded at screening or randomization, selected measurements made during follow-up, and details of the occurrence of all the primary outcomes during follow-up. The BP reduction in each trial arm was calculated as the difference between mean BP during follow-up and mean BP at baseline. Mean levels of baseline characteristics and mean differences in BP reductions between randomized groups were calculated separately for participants with and without diabetes, with estimates from each individual study weighted in proportion to the number of individuals in that study. Meta-analyses of the effects of randomized treatments used the “metan” routine in STATA (release 8.0; StataCorp, College Station, Tex). For each trial and each outcome, estimates of relative risk and its variance were calculated for individuals with and without diabetes according to the principle of intention to treat.14 Each participant could contribute only the first event in any category to the calculation for each outcome but might contribute an event to analyses of several outcomes. Pooled estimates of effect and 95% confidence intervals were calculated using a random-effects model and inverse variance weighting (weighting by the precision of each trial). The constancy of the results for patients with and without diabetes was tested using χ2 tests of homogeneity. A P < .05 for the test of homogeneity was taken to indicate that the difference between the effects in the 2 patient groups was unlikely to have occurred by chance. Twenty-nine studies2,3,5,10,15,17-40 that collectively included 162 341 individuals were eligible for inclusion. Twenty-seven trials2,3,5,10,15,17-25,27-37,39,40 that included 158 709 individuals provided data for these analyses (Table 1). The remaining 2 trials26,38 did not provide separate data for patients with and without diabetes. In the 27 included trials, there were 33 395 individuals with diabetes and 125 314 without diabetes (Table 1). Five trials2,10,29,30,40 (5326 participants) were conducted exclusively in patients with diabetes, 1 trial28 (n = 1094) was conducted exclusively in individuals without diabetes, and the remainder (21 trials with 152 289 participants) included a mean of 21% (range, 4%-38%) of individuals with diabetes. Twenty-two of the 27 included trials provided complete information about all 6 outcomes. Five trials15,27,32,36,37 did not provide data for heart failure exactly as defined in the protocol (hospitalized or fatal cases) and were excluded from the analyses of that outcome. Mean follow-up BP differences for each treatment comparison are given in Table 2. For the outcome stroke, there was no evidence of differences in the effects of the treatment regimens between patients with and without diabetes (Figure 1) except in the comparison that included ARB-based regimens (Figure 2). In this comparison, ARBs provided lesser protection to patients with diabetes compared with patients without diabetes (P = .05 by χ2 test of homogeneity). For the outcomes CHD and heart failure, there were no differences observed between patients with and without diabetes for any comparison (Figure 1), again except for the comparison that included ARBs (Figure 2). The ARBs this time provided significantly greater protection to patients with diabetes compared with those without diabetes for the outcome heart failure (P = .002 by χ2 test of homogeneity). For none of these outcomes did the head-to-head comparisons between different drug classes provide any evidence of differences in the effects of ACE inhibitors, calcium antagonists, or diuretics/β-blockers (Figure 3B). However, there was some limited evidence that patients with diabetes achieved greater reductions in the risk of total major cardiovascular events (P = .03 by χ2 test of homogeneity) and cardiovascular deaths (P = .02 by χ2 test of homogeneity) with regimens targeting lower BP goals than those without diabetes (Figure 3A). There was also some evidence of a difference between the 2 patient groups in protection against cardiovascular death (P = .05 by χ2 test of homogeneity) and total mortality (P = .03 by χ2 test of homogeneity) favoring patients with diabetes in the comparison of ACE inhibitor–based regimens vs placebo (Figure 3A). The overview results previously reported by this Collaboration42,43 have demonstrated broad comparability in the effects on major cardiovascular events of most classes of BP-lowering drugs and have implied a central role for BP reduction in producing the benefits observed. In general, the results reported herein seem to extend these findings to patients with diabetes and provide some evidence to support lower BP goals for this patient group.6-9,44 The data also suggest that clinicians may reasonably choose from a wide range of BP-lowering agents in their efforts to reduce the short- to medium-term risks of macrovascular complications in patients with diabetes. The overviews do not, however, fully characterize the effects of different BP-lowering regimens during the longer term, and neither do they incorporate estimates of effects on other outcomes of particular interest, such as renal function. Consequently, important benefits from the selective use of certain agents, such as those that antagonize the renin-angiotensin system, cannot be excluded. Although there was broad comparability in the effects on total major cardiovascular events of the different regimens studied for patients with and without diabetes, there was some evidence of heterogeneity for selected comparisons and outcomes. This was most marked for ARBs, which seemed to afford greater protection against heart failure in patients with diabetes compared with those without diabetes. For this comparison there was a corresponding, although nonsignificant, trend for CHD but a finding in the opposite direction for stroke. Whether the greater observed effect on heart failure is attributable to BP reduction, BP-independent effects of regimens based on ARBs, or simply chance (only 1 trial41 contributed data for patients without diabetes) is unclear. Additional beneficial effects of regimens that antagonize the renin-angiotensin system have been postulated for patients with diabetes,10,40 but none of the other comparisons involving ACE inhibitor–based regimens showed corresponding greater protection against heart failure, CHD, or stroke for this patient group. For the outcome cardiovascular death, there was greater beneficial effect (of borderline statistical significance) for regimens based on ACE inhibitors compared with placebo and for more intensive vs less intensive regimens in patients with diabetes compared with those without. For the latter comparison, this might be explained by differences in the follow-up BP levels between randomized groups, but such differences would not account for the greater benefit of ACE inhibitors compared with placebo. In contrast, for the outcome total mortality, the observed greater benefits in patients with diabetes than in those without diabetes of more intensive vs less intensive BP-lowering regimens might be anticipated on the basis of a greater proportion of deaths being of cardiovascular cause in patients with diabetes, although this does not seem to explain the finding for ACE inhibitor–based regimens compared with placebo. Previously observed greater protective effects of diuretic-/β-blocker–based regimens compared with calcium antagonist–based regimens for the outcome of heart failure43 were observed for patients with and without diabetes (Figure 1B). There was reasonable comparability in the age and baseline BP levels of patients with and without diabetes, and the baseline differences that did exist for these characteristics seem unlikely to have produced the heterogeneity in treatment effects observed.45,46 Whether differences in the proportion with other characteristics, such as established cardiovascular disease or renal impairment, might have affected the conclusions drawn cannot be established from these overviews. Chance is a likely explanation for at least some instances of heterogeneity because many comparisons were made and much of the heterogeneity was of only borderline statistical significance.47 Differences in the mean follow-up BP levels between randomized groups in patients with and without diabetes are another important consideration in the interpretation of these results because follow-up BP differences were not adjusted for in the analyses. Furthermore, the ability of these analyses to detect differences between regimens would have been diminished by incomplete adherence to randomized treatments and by the extensive use of add-on therapies. Blood pressure–independent effects of regimens may still be important for some outcomes, but these data suggest that for the prevention of major cardiovascular events, BP-independent effects unique to patients with diabetes do not provide a strong rationale for the selection of particular BP-lowering regimens for these patients. These analyses included more than 17 000 major cardiovascular events and provided fairly precise estimates of the effects of the most widely used BP-lowering regimens on major vascular events separately for patients with and without diabetes. There are, however, several aspects of these analyses that limit their interpretation. First, these overviews have not defined the effects of the regimens on renal outcomes, the risk of new diabetes, or the progression of existing diabetes. These outcomes are a planned focus of future overviews using individual participant data from all contributing studies. It is possible that there may be important differences between regimens for these outcomes and that although any such differences do not seem to affect macrovascular events and death in the 3 to 6 years covered by these analyses (ie, a mean time to an event of only 1.5-3.0 years), effects on these outcomes may have longer-term implications yet to be uncovered. Second, the combined comparator group of diuretics and β-blockers might have concealed differences that would have been apparent if separate comparator groups of diuretics alone and β-blockers alone were used. Although repeating the relevant analyses first using only the trials in which the primary comparator was a diuretic and second using only the trials in which the primary comparator was a β-blocker identified no differences between the effects of the regimens in individuals with and without diabetes, note that the power for these analyses was more limited. Third, some studies selected patients on the basis of either the presence2,10,11,29,30 or the absence28 of diabetes. Repeating the overview analyses with these trials excluded resulted in estimates of effect suggesting greater benefits from more intensive therapy for individuals with diabetes compared with those without diabetes for the outcomes CHD and total mortality. There was also an apparently greater effect of ARBs on total mortality for patients with diabetes compared with those without diabetes. However, for each of these results there was only 1 trial that contributed to the estimates for patients without diabetes, and the reliability of these findings is uncertain. In conclusion, small differences in the effects of regimens on macrovascular events cannot be excluded even by overviews of this magnitude, but it does seem that clinicians can be reassured that any of the major classes of BP-lowering agents are likely to produce substantial reductions in the short- to medium-term risks of the leading causes of death and disability in patients with diabetes. These findings should facilitate the management of BP in patients with diabetes because many individuals will require 2 or more agents to reach recommended targets. These data should also have important implications for the treatment of patients with diabetes in resource-poor settings, where the cost of BP-lowering agents may be a key consideration. Correspondence: Fiona Turnbull, MBChB, FAFPHM, Blood Pressure Lowering Treatment Trialists’ Collaboration, The George Institute for International Health, University of Sydney, Missenden Rd, PO Box M201, Sydney, New South Wales 2050, Australia (fturnbull@thegeorgeinstitute.org). Accepted for Publication: January 21, 2005. Financial Disclosure: Writing committee members have received honoraria and/or research funding from AstraZeneca, Servier, and Pfizer (Drs Turnbull, Neal, and MacMahon); Sanofi-Synthelabo (Drs Turnbull and Neal); and Bristol-Myers Squibb, Merck, Boehringer-Ingelheim, Bayer AG, GlaxoWellcome, and Solvay (Drs Neal and MacMahon). Dr Chalmers has received research grants from Servier for the PROGRESS and ADVANCE studies, administered through the University of Sydney, Sydney, Australia. Funding/Support: The design and conduct of the study; the collection, management, analysis, and interpretation of the data; and the preparation, review, and approval of the manuscript were supported by grants and awards from the National Health and Medical Research Council of Australia, Canberra. Dr Neal is the recipient of a fellowship from the National Heart Foundation of Australia. Recent meetings of collaborators have been sponsored by AstraZeneca (Mölndal, Sweden), Bayer AG (Wuppertal, Germany), Boehringer-Ingelheim (Ingelheim am Rhein, Germany), Merck (Whitehouse Station, NJ), Pfizer (New York, NY), Servier (Neuilly-sur-Seine, France), and Solvay (Marietta, Ga). Acknowledgment: We thank Craig Anderson, PhD; Hisatomi Arima, PhD; Ann Belmans, MSc; Simona Bruno, MD; Jan Buch, MD; Diane Catellier, William Elliott, MD, PhD; Lars Elvelin, BDS; Dag Elmfeldt, MD, PhD; Angelo Ferraro, Greg Grandits, MS; Eileen Handberg, PhD; Linda Hemphill, Patricia Kearney, MBBChBAO; Jan Lanke, PhD; Helen Merianos, Beverley Mullane, Chris Palmer, PhD; Vlado Perkovic, PhD; Janice Pogue, MSc; Neil Poulter, FRCP; Sara Pressel, MS; Denise Ramjit, Chris Reid, PhD; Irene Stratton, MSc; Lutgarde Thijs, MSc; Jiguang Wang, MD, PhD; Ingrid Warnold, PhD; Kate Wilson, DPhil; and Kristyn Willson, BSc(Hons), for their comments and contributions to this study. Larry Agodoa, MD; Colin Baigent, BM, BCh; Henry Black, MD; Jean-Pierre Boissel, MD; Barry Brenner, MD; Morris Brown, FMed Sci; Chris Bulpitt, MD; Robert Byington, MD, PhD; John Chalmers, MD, PhD; Rory Collins, FMedSci; Jeff Cutler, MD; Bjorn Dahlof, MD; Barry Davis, MD, PhD; Joseph Dens, MD, PhD; Ray Estacio, MD; Robert Fagard, MD, PhD; Kim Fox, MD; Lennart Hansson, MD (deceased); Rury Holman, FRCP; Lawrence Hunsicker, MD; Yutaka Imai, MD; John Kostis, MD; Kizuku Kuramoto, MD; Edmund Lewis, MD; Lars Lindholm, MD, PhD; Jacobus Lubsen, PhD; Stephen MacMahon, PhD; Ettore Malacco, MD; Giuseppe Mancia, MD, PhD; Bruce Neal, MRCP, PhD; Carl Pepine, MD, MACC; Marc Pfeffer, MD, PhD; Bertram Pitt, MD; Philip Poole-Wilson, FMedSci; Giuseppe Remuzzi, MD; Anthony Rodgers, MBChB, PhD; Piero Ruggenenti, MD; Robert Schrier, MD; Peter Sever, FRCP; Peter Sleight, MD; Jan Staessen, MD, PhD; Koon Teo, MD, PhD; Paul Whelton, MD; Lindon Wing, FRACP; Yoshiki Yui, MD, PhD; Salim Yusuf, MD, DPhil; and Alberto Zanchetti, MD, PhD. Executive Committee: Stephen MacMahon, PhD; Colin Baigent, BM, BCh; Jeff Cutler, MD; Robert Fagard, MD, PhD; Bruce Neal, MRCP, PhD; Paul Whelton, MD; and Salim Yusuf, MD, DPhil. Coordinating Centre: Charles Algert, MPH; John Chalmers, MD, PhD; Stephen MacMahon, PhD; Bruce Neal, MRCP, PhD; Fiona Turnbull, MB, ChB; and Mark Woodward, PhD. Writing Committee: Fiona Turnbull, MBChB, FAFPHM; Bruce Neal, MRCP, PhD; Charles Algert, MPH; John Chalmers, MD, PhD; Neil Chapman, MRCP; Jeff Cutler, MD; Mark Woodward, PhD; and Stephen MacMahon, PhD.